Car accidents are now an all too common part of modern living. 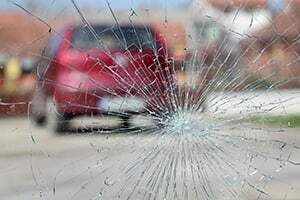 If you or a loved one has been involved and injured in a Chicago automobile crash, it is important to understand the laws that allow you to receive compensation and seek justice. This will help guide your understanding of what recovery is possible and how to best to achieve it. Here is an overview of the legal context surrounding your car accident lawsuit. Weather conditions immediately before, during and after the incident. Traffic conditions immediately before, during and after the incident. Road conditions immediately before, during and after the incident. The identity, insurance information, and car information all drivers involved in the accident. Witnesses and any statements made by drivers or anyone else. Property damage and personal injuries sustained. Medical reports that document treatments, notes, medications, etc. related to the incident. If you are injured or your property is damaged due to a car accident, you must understand that your time to file a lawsuit is not infinite. This is important because there is a lot of work to be done to launch a case. You must retain an attorney, conduct investigations, review legal doctrines, and construct a case wisely. Illinois law commands that actions for personal injuries must commence with two years. It states the following: “Actions for damages for an injury to the person…shall be commenced within 2 years ... after the cause of action accrued…” 735 ILCS 5/13-202. Now, in some circumstances, the date when the cause of action accrued might be delayed until the plaintiff has reason to know of his or her injuries. However, with car accidents, where the triggering event is conspicuous and obvious, delaying is not likely and a filing typically must commence two years from the date of the accident. Illinois law is more lenient for actions related to property damage because it allows five years to bring legal action. It states that “Actions on unwritten contracts, expressed or implied, or on awards of arbitration, or to recover damages for an injury done to property, real or personal, or to recover the possession of personal property or damages for the detention or conversion thereof, and all civil actions not otherwise provided for, shall be commenced within 5 years next after the cause of action accrued.” 735 ILCS 5/13-205. Thus, your claim for property damage arising out of a car accident has three more years of life than a similarly situated personal injury claim. Finally, for actions involving government entities or their employees, you only have one year as the law states: “(a) No civil action other than an action described in subsection (b) may be commenced in any court against a local entity or any of its employees for any injury unless it is commenced within one year from the date that the injury was received or the cause of action accrued.” 745 ILCS 10/8-101. In either event, the Illinois Statute of Limitations should give you great incentive to start your case soon. Find a competent auto accident attorney who can competently represent you. Who is Responsible: Pick the Right Defendant(s)! Was the driver an agent? If the driver was an agent of the owner of the car, then you can sue the owner. To find an agency, you have to establish 1)that the owner controlled the agent 2) that the agent assented to the control by the principal and 3)that the agency relationship benefited the principal. The first scenario where this is commonly found is in employment, but even there you have to establish more. You must show that the driver was acting in the course of their employment and was not just frolicking. Frolic in this sense is understood to be when an employee leaves the scope of work and not merely detours within it. See Pyne v. Witmer, 129 Ill.2d 351, 359 (1989). The other common agency situation is found with friendship or family. For example, if your friends or family are using your car for your purposes then you can be liable if they get into an accident. Conversely, if they are using your car for their own purposes, then you cannot be liable. See Stellmach v. Olson, 242 Ill.App.3d 61, 64 (2nd Dist. 1993). Did the owner negligently entrust the car to the driver? The Supreme Court of Illinois has ruled that if an owner gives a car and knows or should know that it will unreasonable risk harm to others, then the owner will be liable. In Norskog v. Pfiel, it said that “To prove negligent entrustment, plaintiff must show that the (owner) gave (the driver) express or implied permission to use a dangerous instrument which they knew, or should have known, would likely be used in a manner involving an unreasonable risk of harm to others.” See 197 Ill.2d 60 (2001); see also Restatement (Second) of Torts § 308 (1965); see also Zedella v. Gibson, 165 Ill.2d 181, 209 Ill.Dec. 27, 650 N.E.2d 1000 (1995). However, it went on to limit this liability by ruling that the owner must have actual knowledge of this risk emanating from the driver and the actual ability to control the vehicle. Common examples of negligent entrustment include when the driver did not have a license, was drunk, or was under the legal age to drive. These rules -- and the facts -- should determine who you decide to sue to maximize your financial recovery. You can serve people personally or at their abode. You can serve corporations on their registered agents. You can serve out-of-state defendants by serving the Illinois Secretary of State and then use a mailing service via registered mail to the defendant’s last known address. The defendant owed you a legal duty. The breach directly and legally caused your injuries. Your injuries caused your damages. The establishment sold alcohol to the defendant. The defendant caused the plaintiff’s injuries. The establishment caused the defendant’s intoxicated state. The intoxication was an important factor in the plaintiff’s injuries. This normally involves a situation where the defendant was over-served. Note, however, that this does not require knowledge by the establishment that the defendant was already intoxicated or preclude suing several establishments for the same injuries. For more information on the Liquor Control Act see 235 ILCS 5/6-21, and for information on highway laws see 745 ILCS 10/ 605. “The trial court may, in its discretion, with respect to punitive damages, determine whether a jury award for punitive damages is excessive, and if so, enter a remittitur and a conditional new trial. The trial court may also in its discretion, apportion the punitive damage award among the plaintiff, the plaintiff's attorney and the State of Illinois Department of Human Services.” 735 ILCS 5/2-1207. The consequences of this are stark once you consider that after months of investigation, preparation, and trial the judge can lower the jury’s award or wipe clean the slate. Generally, a remitter should only be used when "A verdict will not be set aside unless it is so excessive as to indicate that the jury was moved by passion or prejudice, or that it exceeds the necessarily flexible limits of fair and reasonable compensation or is so large that it shocks the judicial conscience." Richter v. Northwestern Memorial Hospital, 177 Ill. App. 3d 247, 257, (1988). “Every health care professional and health care provider that renders any service in the treatment, care, or maintenance of an injured person, except services rendered under the provisions of the Workers' Compensation Act or the Workers' Occupational Diseases Act, shall have a lien upon all claims and causes of action of the injured person for the amount of the health care professional's or health care provider's reasonable charges up to the date of payment of damages to the injured person. The total amount of all liens under this Act, however, shall not exceed 40% of the verdict, judgment, award, settlement, or compromise secured by or on behalf of the injured person on his or her claim or right of action.” 770 ILCS 23/10. Neither one of these two categories can be more than 33% of recovery. Also, if the total of these two categories is greater than or equal to 40% then attorney’s fees cannot exceed 30%. Finally, Medicare and Medicaid have similar liens but the former has priority to the latter. Of course, plaintiffs will often try to resolve their claims through the insurance process before initiating a trial. However, insurance proceeds may not be enough to adequately compensate you. In this case, nothing in Illinois law prohibits you from filing a lawsuit against the appropriate parties for the remainder. Also, Illinois law allows you to seek recovery from multiple parties to the extent they were responsible for your injuries and subsequent damages. Gertz v. Campbell, 55 Ill. 2d 84 (Ill. 1973). “(i) is negligent, willful and wanton, or reckless, is a breach of an express or implied warranty, gives rise to strict liability in tort, or gives rise to liability under the provisions of any State statute, rule, or local ordinance and (ii) is a proximate cause of death, bodily injury to person, or physical damage to property for which recovery is sought.” 735 ILCS 5/2-1116(b). “In all actions on account of bodily injury or death or physical damage to property, based on negligence, or product liability based on strict tort liability, the plaintiff shall be barred from recovering damages if the trier of fact finds that the contributory fault on the part of the plaintiff is more than 50% of the proximate cause of the injury or damage for which recovery is sought. The plaintiff shall not be barred from recovering damages if the trier of fact finds that the contributory fault on the part of the plaintiff is not more than 50% of the proximate cause of the injury or damage for which recovery is sought, but any damages allowed shall be diminished in the proportion to the amount of fault attributable to the plaintiff.” 735 ILCS 5/2-1116. “The facts constituting any affirmative defense…and any defense which by other affirmative matter seeks to avoid the legal effect of or defeat the cause of action set forth in the complaint, counterclaim, or third-party complaint, in whole or in part, and any ground or defense, whether affirmative or not, which, if not expressly stated in the pleading, would be likely to take the opposite party by surprise, must be plainly set forth in the answer or reply.” 735 ILCS 5/2-613(d). Therefore, if defendants do not raise these affirmative defenses early, they are waived. Yet, if plaintiffs cannot demonstrate that their own fault in the matter is less than 50% responsible for their injuries then the case itself will be eliminated. Death or injury: $20,000 vehicle liability insurance. Two deaths or injuries: $40,000 vehicle liability insurance. Vehicle and property damage: $15,000 vehicle liability insurance. Uninsured motorist coverage: equal to insured’s injury coverage. Typically, the insured will file an insurance claim under their own policy for medical bills, property damage, damage to their car, etc. However, if you are injured in a car accident you will typically want to move to obtain insurance proceeds from the at-fault party. If that company cannot argue that your claim is excessive or that you were really at fault then you will have a better time receiving a recovery. However, two common arguments that insurance companies make when trying to deny third-party claims are that it was not notified of the action and that the at-fault party did not pay the required premiums. If these circumstances exist, you will have a harder time fighting the insurance company. Finally, it is entirely possible that the at-fault driver did not have any insurance. In that case, you can either make a claim with your own insurer or sue the driver for damages. Obviously, you will probably have a problem with a collection with these kinds of defendants but the court does have power to eventually get your recovery by setting up payment plans, garnishing wages, and suspending licenses. Hopefully, this review gives you some insight into the process of a typical car accident lawsuit and illustrates the legal context in which you must bring a case. However, the particular facts and circumstances of your case will give these laws and cases deeper meaning and consequence. Do not wait. Talk to an experienced attorney today about your car accident and hear how your potential recovery is affected by these laws! Rosenfeld Injury Lawyers LLC have helped thousands of people recover compensation for injuries sustained in Illinois car accidents. All of our cases are handled on a contingency fee basis where a fee is only charged when there is a recovery for you. Moreover, there is never a fee to discuss a case with one of our attorneys.